Below, I've outlined my platform on some of the top issues facing Connecticut. While the issues before us are complex, I'm optimistic about Connecticut's future. This November, voters will be asked to choose between a new generation of leadership and the status quo. I want you to know where I stand, and I hope you'll stand with me on Election Day. 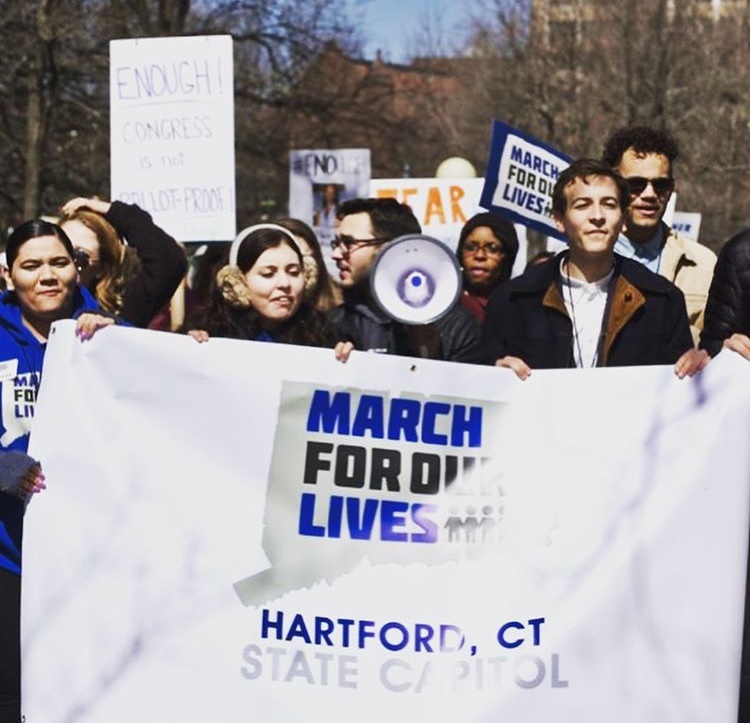 Connecticut has witnessed one of the worst gun violence tragedies in the nation’s history, and must be proactive in preventing the next one. That’s why I support strong and sensible gun legislation. This past April, high school students in this district set an example for the country by leading a nationwide school walkout. Elected officials must match the passion and resolve of students by addressing gun violence head-on. We are living in a nation that has, on average, one school shooting per week, and 96 deaths due to gun-related injuries per day. In cases of domestic violence, women are five times more likely to die if there is a gun in the household. Hartford has a responsibility to make schools, newsrooms, movie theaters, and all places of public gathering feel safe. From the moment I enter office as State Senator, my top priority will be reducing access to weapons and strengthening our state’s gun laws. Support a ban on unregistered and unserialized ghost guns. No one should be able to order a weapon without a background check. Work to raise the minimum age for buying any type of firearm to 21 years. Defend laws that regulate ammunition and silencers because reducing gun violence requires more than just regulating the weapon itself. Encourage stricter enforcement of existing state laws that require all persons to undergo a background check when purchasing a firearm via a private sale. Propose legislation that would limit the number of weapons an individual can buy in one transaction. When multiple handguns are purchased during a single transaction, those weapons are 64% more likely to be used in a criminal manner. Work to strengthen gun storage laws so that law-abiding gun owners do not allow weapons to slip into the wrong hands. Promote an additional step in obtaining a firearm eligibility certificate, which would require a signed copy of the applicant’s most recent health and mental health evaluations. My opponent and I agree that it's time to get Connecticut's economy back on track. We disagree, however, on the solutions. Slashing taxes with impunity might sound nice, but it will erode our ability to fund crucial state services. Instead, I want to provide the next generation of workers and businesses with opportunities to succeed. Connecticut graduates 40,000 students every year from some of the best universities and colleges in the world. It’s time to be proactive in encouraging those graduates to start their careers, families and small businesses here. Connecticut grew by just 1.7% in 2017, compared to Massachusetts’ 10% and New Hampshire’s 6.6%. Of the population that is here, alarmingly few are a part of the age bracket that will sustain our economy over the next several decades. Only 19% of Connecticut's population is between the ages of 20 and 34, compared to 25% of the nation as a whole. Connecticut is missing out on an entire generation of smart, capable young people who are ready and eager to rejuvenate a struggling economy. We need legislation that actively supports the families and workers we need most. Propose a public-private student loan forgiveness program that incentivizes Connecticut’s recent college graduates to stay here. Encourage job creators and educators to work together to prepare students for high-tech jobs in the 21st century. Draw businesses back to Connecticut by improving our infrastructure and revitalizing our cities. It’s time for Connecticut to innovate beyond the corporate office park. Work to raise our minimum wage to $15, so that every Connecticut worker can earn a living wage. Fight for net neutrality in Connecticut, because preserving a free and open internet is crucial for small businesses to succeed. Long commutes, congested roads, and crumbling infrastructure are holding Connecticut back. Our trains have gotten slower since 1950 - not faster. Moreover, Fairfield County drivers waste 49 hours a year sitting in traffic. That’s why I’m challenging an incumbent who has grown complacent as the chair of the transportation committee. In order to attract businesses and young workers to Connecticut, we need a transportation lockbox. For too many years, legislatures have raided the Special Transportation Fund when voters weren’t paying attention. If we want the next generation to stay, work, and live in Connecticut, we must make it easy to commute and travel in Connecticut. Boost transparency for taxpayers by supporting a funding lockbox for the Special Transportation Fund. This will ensure that Connecticut makes long-overdue investments in our infrastructure. Work with the Department of Transportation and provide the funding necessary to repair 350+ bridges that are currently considered structurally deficient. 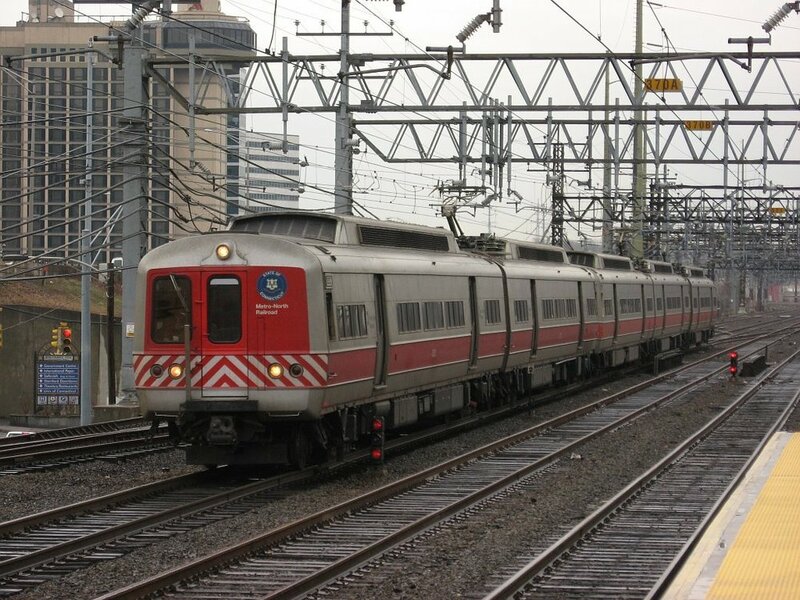 Insist that Metro-North unlock WiFi for riders so that passengers can work during their commutes to increase economic efficiency. Fight for Connecticut to get a fair deal from out-of-state drivers and trucks that use our roads. Connecticut is the only state between Maine and North Carolina that doesn’t charge tolls. That doesn’t make us uniquely advantaged - it makes us uniquely disadvantaged. While Connecticut drivers paid over $6 million in tolls to Massachusetts last year, Massachusetts drivers paid $0 to Connecticut. With a funding lockbox to protect the revenue raised, I would support a tolling system that offers lower fares for local commuters and low-income drivers. Having graduated from Westport public schools, I know that Connecticut has some of the best teachers, curricula, and after-school programs in the country. But these opportunities are only afforded to some of our state’s children. Connecticut ranks highest in the nation on reliance upon local funding for education. This results in vastly unequal public schools, where a student’s zip code determines the quality of their education. How can we expect our state to grow if the majority of our low-income students are reading 2 years below grade level, and approximately 85% are behind in math? Every school, including those in the 26th district, is negatively impacted by the unpredictable nature of how our state government funds education. The Education Cost Sharing Formula lacks consistency, making it nearly impossible for local school boards to plan annual budgets. Efforts to reform this formula have been short-sighted and influenced by backroom deals in Hartford. Connecticut must address the actual cost of educating a student. Massachusetts found an answer to this question in 1991, and subsequently launched momentous reforms in public education. While my opponent has stood in the way of such a study, I view this reform as an investment in Connecticut’s future. Finally, public education should offer opportunities for all - with no fine print. That’s why Connecticut must protect services for special needs students. Last year, my opponent introduced a bill that would shift the burden of proof in special education hearings from the school district onto the backs of parents. She sees this as a way to lessen education expenses. I see it as a direct violation of our promise to educate all students in Connecticut. Support a comprehensive education cost study to reform our current formula with up-to-date data and analysis of towns’ actual financial resources. Oppose legislation like S.B. 408, a bill that shifts the burden of proof in special education hearings from the school district onto the backs of parents. Promote legislation like H.B. 5171, an act that prohibits governors from altering the education cost sharing formula during the fiscal year. Encourage a long-term data tracking system to assess teaching effectiveness and state standard implementation. For years, Connecticut has kicked the can down the road, passing yesterday’s fiscal mistakes onto the backs of tomorrow’s taxpayers. Now, it’s time for stakeholders in Connecticut’s future to make the tough decisions necessary to address Connecticut’s pension liabilities. In 1997, Governor Rowland committed Connecticut to two decades of overly generous pension plans. As we work to recover from these mistakes, legislators must be honest about the tough road that lies ahead. First, I do not believe it is morally defensible or legally possible to break the promises that we’ve already made to teachers, social workers, engineers, and other state employees. Second, I do not support using bonds as a temporary solution, tying the hands of future voters and lawmakers alike. Instead, I’ll fight for an independent trust to manage underutilized state assets and pay off our pension obligations. Connecticut has roughly $18 billion dollars of assets valued at cost. If properly managed, some of these assets could provide a pathway out of our fiscal nightmare. The Legacy Obligation Trust model, which involves the public contribution of real assets, has been successfully used in Detroit and Australia to overcome the burden of public debt. It's not a silver bullet. But anyone who tells you that they have an immediate solution to our pension crisis probably isn’t telling the truth. It took decades to get into this mess, and it will take time to get out of it. However, nothing will change unless we begin electing new voices to Hartford. Support the work of the Pension Sustainability Commission, which searches for new sources of non-tax revenue to help pay off our unfunded pension liabilities. Increase accountability and oversight by imposing a fiduciary responsibility on all members of the Connecticut State Employees Retirement Commission. Advocate for realistic cost-of-living adjustments that reflect the low-inflation environment. In 2017, Connecticut witnessed 1,038 deaths due to fatal drug overdoses, of which 677 involved the synthetic opioid fentanyl. The number of fatal drug overdoses in our state is triple what it was six years ago. This epidemic affects residents from all walks of life, crossing racial, economic, and geographic boundaries. It is essential that we continue to monitor prescribers, provide emergency overdose solutions, support awareness campaigns, and help recovering addicts get back on their feet. Connecticut’s government must shed light on this epidemic without judgment so that we can fully combat the spread of opioids. Advocate for initiatives to combat excessive distribution and abuse of prescription drugs, including increased monitoring of frequent opioid prescribers and distributors. Support enforcement of all emergency responder units being equipped with at least one naloxone overdose-reversal kit. Encourage programs that help those suffering from drug addiction to get back on their feet, including the state’s DMHAS Employment Services, which offers courses on employability and soft skills, in addition to providing job placement services for recovering addicts. It is impossible for our students to succeed in school, our employees to excel at work, and our families to contribute to the community if their health is in jeopardy. Connecticut needs affordable and comprehensive health care now. Nearly 82% of residents agree that the state should ensure basic health services in all insurance plans. With 21.54% of our population covered by Husky Care, Connecticut is a national leader in health insurance coverage. But there’s still room for improvement. Our healthcare exchange has only two providers, leading to high premiums and lower quality care. Low and moderate income families deserve better options. Promote the “Husky E” healthcare initiative (HB 5463), a sustainable public option for healthcare. Support efforts to diversify the Connecticut health insurance exchange to enhance competition, reduce premiums and improve the quality of coverage. Ensure that the Affordable Care Act’s “ten essential health benefits” are implemented in all individual and small business insurance plans. In 1965, Griswold vs. Connecticut allowed women’s access to contraception. 53 years later, we are still fighting for reproductive freedom. It is appalling that politicians in Washington and Hartford have threatened the safety and dignity of women. Last year, women in Connecticut were paid 82 cents for every dollar paid to a white man. Black women earned 58 cents to every dollar paid to a white man, and Hispanic women were paid 47 cents to every dollar paid to a white man. Discrimination and unconscious bias are the most insidious perpetrators of the wage gap. Moreover, with Connecticut ranking as 46th in the nation for professional opportunities for women, economic success is limited from the start. Women are unsafe in our schools and workplaces. One in four Connecticut women is a sexual assault survivor. Moreover, 35.5% of Connecticut administrators said that their schools don’t have sexual assault awareness curriculums. Women in Connecticut are at risk of losing their reproductive rights, their sense of safety in schools and workplaces, and their fair share of our economy. It’s time to fight for the long overdue promise of gender equality in Connecticut. Fight for paid family leave because no person should be forced to choose between advancing in his/her career and starting a family. Too often, women are pressured to sacrifice their career due to family obligations. As the son of a working mom, I know that paid family leave is good for workers, businesses and children. Combat sexual harassment and assault by advocating for the Time’s Up Act. Shockingly, lawmakers in Hartford failed to pass this common-sense bill in the last legislative session. Support the enforcement of pay-equity legislation, and will take further action if the wage gap is not closed. Work with the Department of Education to enforce a comprehensive sexual assault prevention curriculum in all schools. From serene public parks to stunning waterfronts, some of Connecticut’s finest features are its natural resources. We will lose these invaluable assets if we don’t make conservation and environmental protection a priority. Connecticut must revamp its strategies for the preservation of the Long Island Sound, remediation of our state’s brownfields, and sourcing of renewable energy. Many of Hartford’s environmental protection efforts have either failed to address these issues or failed to provide sustainable long-term plans. Fight for the initiatives proposed in the 2018 Comprehensive Energy Strategy to reduce Connecticut’s carbon footprint. Work to prevent Hartford from raiding the Energy Efficiency Fund and the Green Bank. Encourage the direct sale of electric vehicles because promoting energy efficient transportation is good fiscal policy and good environmental policy. Support increasing renewable energy mandates for public utilities, as well as initiatives to make renewable energy solutions more socioeconomically accessible. Promote legislation that would properly conserve our natural maritime resources as part of the Long Island Blue Plan. Press for legislation that protects public lands and native species. Senior citizens, who make up 16.8% of Connecticut's residents, play a vital role in our communities. For all that they have given us, we must fight for them by protecting their access to housing and healthcare. 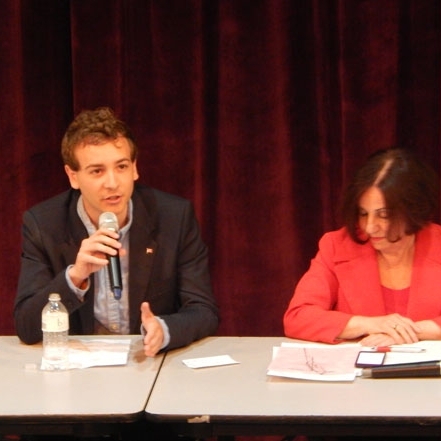 If elected, I will combat cuts to senior programs and reduce social security income taxes. All of my grandparents live in Connecticut. I firmly believe in honoring our roots both as individuals and as a state. After years of hard work and dedication to our community, seniors deserve an elected official who will wholeheartedly advocate for their needs in the state senate . Oppose reckless cuts to the programs that help senior citizens live comfortably in Connecticut. Support erasing the tax on social security income to ensure that seniors receive the full benefits to which they are entitled. Maintain and bolster programs such as the Connecticut Energy Assistance Program (CEAP), which provides fuel assistance for seniors during the winter. Ensure that Connecticut steps up to the plate and protects seniors if Donald Trump cuts funding for the Older Americans Act. This reckless cut would devastate the 23,526 seniors in Connecticut who rely upon Meals on Wheels. Connecticut has made major strides towards securing equal rights for LGBTQIA+ citizens. Now, we must defend and build upon that progress. Nationally, an LGBTQIA+ youth is 5 times more likely to attempt suicide. Moreover, LGBTQIA+ teens suffer from homelessness at a far greater rate than other young adults. Connecticut should be a state where all feel welcome and no teenager is deprived of a bed at night. In his decision legalizing gay marriage, Justice Kennedy wrote that “new dimensions of freedom become apparent to new generations.” It’s time for a new generation of leaders in Connecticut to fight for dignity and equality for all. Be proactive in working with state agencies and nonprofits to address youth homelessness, which especially impacts the LGBTQIA+ community. Fight against businesses that seek to discriminate against LGBTQIA+ individuals. Protect marriage equality and all the rights that come with it -- because family values need to recognize all families. Never ask a nominee for a position in our state government about his or her marriage. Across the world, American troops keep us safe. When they return home, we must have their backs. Veterans should never struggle to find affordable housing and proper health care after risking their lives for our country. Connecticut’s homelessness eradication initiative has reduced veteran homelessness by 67%, but there is still work to be done. We must ensure safe and accessible transitional housing, as well as more sustainable permanent housing solutions. These improvements will reduce strains on emergency services, like hospitals and prisons. More importantly, housing veterans is simply the right thing to do. Support the expansion of health, education, and housing benefits to all veterans. Fight to improve Connecticut’s existing homelessness eradication efforts by reforming permanent supportive housing and designing preventative strategies, such as sustainable employment training and life management assistance. Support the expansion efforts of the Office of Advocacy and Assistance so that veterans can get the help they need to access benefits and rights. Promote a bill that establishes a training program to better inform judges about mental health issues, primarily PTSD, that affect veterans.